Our NLP University Certified Master Practitioner Workshop starts in 6 months. One of the distinguishing features of Master Practitioner is its focus on turning the principles of famous psychology books into NLP Processes. Carol Pearson’s “Awakening the Heroes Within” respectively. Both NLP processes are based around the concept of identity shift. Sometimes a significant goal is out of our reach, not because we lack the skills to achieve it, but we are not ‘ready’ as a person to do so. There is still a major fear that prevents us. We need to evolve our self-concept or identity. This is a classic feature of the common ‘coming of age’ story – though in fact ‘coming of age’ is something we have to do at a number of pivotal points in our lives. 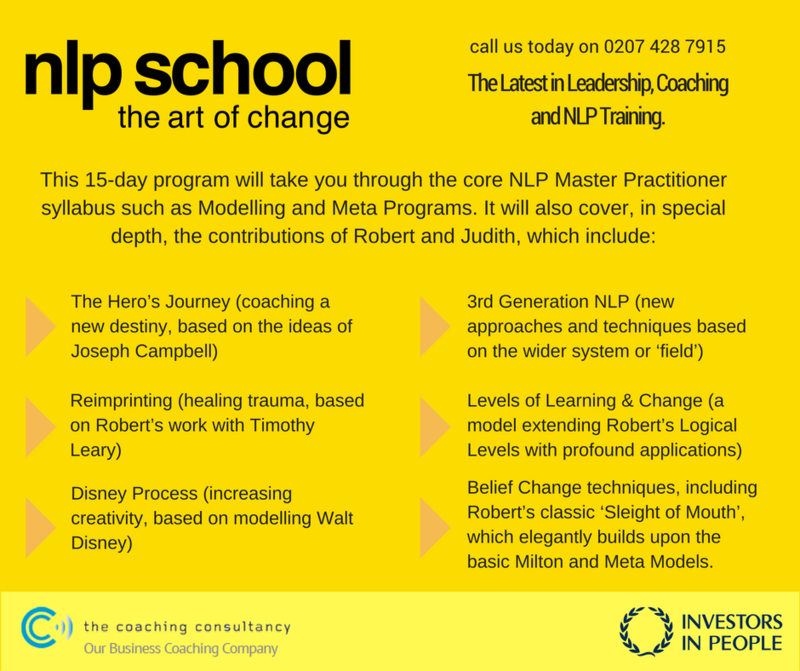 When NLP coaching, I often use the Hero’s Journey (*1) to help clients deal with a major decision which, once taken, will lead to a change of role (behind which is a change of identity, a change of their concept of ‘who they are’). This process involves encouraging a client to imagine leaving their comfort zone (of keeping things the same) and then acquiring resources from mentors for an ultimate showdown with a ‘demon’. Campbell’s book is used a lot in Hollywood, and for good reason: it is a model of how change works, and good stories are all about change. One client had been stuck in the same job for many years, but wanted a new future in a new country. To achieve this, he needed promotion to Director. He realized that he had to see himself as a leader rather than manager. His demon was his own need to ‘work’ which stopped him from leading, but the demon also had a positive intention for him that he needed to honour – was there an alternative way to fulfil his value of getting a good job done? Once he could see his role as ensuring the correct resources are in place to get the job done well, rather than doing the work himself, something quite magical happened. The process enabled him to get past this demon and embrace his new identity. With this shift, he seemed to literally ‘grow’ in stature. He predicted that it would take 18 months to get where he wanted; exactly that period of time later, I got a note from him saying he was now living abroad and was a director of the organisation. Sometimes this process on its own delivers change; other times it needs other processes, like the Tracking Transitions (which I shall cover in another blog). The result is a shift to a whole new way of being, something that benefits both the Master Practitioner and those people they may choose to work with in the future. *1 The Hero’s Journey. This remarkable tool for deep inner change is based on the structure of traditional myths – and the secret behind successful contemporary Hollywood movies.